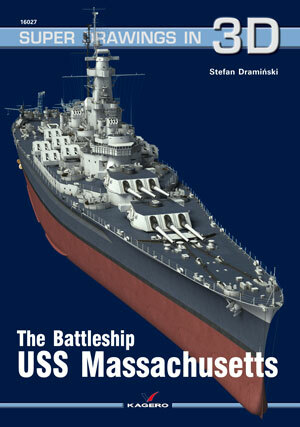 The USS Massachusetts was laid down on July 20, 1939 at the Fore River Shipyard in Quincy, Massachusetts, a subsidiary of Bethlehem Shipbuilding Corporation. The choice of the shipyard was no coincidence: this is where the construction of another ship of the same name (BB-54) began in April 1921, although the project was never completed. The shipyard also built two cruisers – the USS Northampton (CA-26) and USS Quincy (CA-39), both named after cities in the state of Massachusetts. Bethlehem Shipbuilding Corporation had extensive experience in the construction of warships. The company had previously built battleships, destroyers, submarines and even aircraft carriers. Now the shipyard was given a 50 million dollar contract and 55 months to build a new battleship for the US Navy. The keel-laying ceremony was rather modest. Despite the fact that the contract gave thousands of local workers guaranteed employment over the next five years, laying down another warship at the yard was no longer considered a major event by the area’s residents. The battleship was launched on September 23, 1941 – one of the largest hulls that the Quincy shipyard had launched to date. The “Big Mamie”, as she was affectionately called by her crew, was sponsored by Mrs. Charles Francis Adams, wife of a former Secretary of the Navy. The hull’s outfitting went on without major problems and on May 12, 1942 the battleship was officially commissioned during a ceremony in Boston, Massachusetts with Captain Francis E. M. Whiting as her first commanding officer. Over the following months the ship performed a series of work-up cruises. On October 24, 1942 the Massachusetts left the U.S. waters and four days later joined the invasion force preparing for the landings in North Africa. The fall of France in 1940 found the French fleet stationed in North African ports under the control of Vichy government. Theoretically the force maintained its neutral status, but there were fears the Germans might gain control over the fleet. After the French refused to join the Allies, the Royal Navy launched an attack on the French vessels at Mers-el-Kebir on June 3, 1940, which led to an all-out conflict between the former allies. It was common knowledge that the Vichy forces would get involved to a greater or lesser extent in the event of the Allied invasion of North Africa. The joint British-American invasion, code-named Operation Torch, was at that time the largest amphibious assault ever planned. The chief objectives included capturing port cities in Morocco and Algeria. The operation was scheduled to commence on November 8, 1942. The Massachusetts was assigned the role of the flagship of Admiral Henry Kent Hewitt commanding Task Force 34. Hewitt’s force was tasked with covering the landings in the Casablanca area. The battleship’s crew was given three main tasks: provide protection against a possible attack by the French warships from Dakar, isolate or destroy the fleet moored at Casablanca and neutralize local coastal artillery positions. The Battle of Casablanca began in the early morning of November 8. The USS Massachusetts operated close to the port’s entry supported by the cruisers Wichita and Tuscaloosa and a force of four destroyers. At 07.03 the ships came under attack by a coastal battery at El Hank (four 194 mm and four 138 mm guns). The Massachusetts crew misidentified the source of the incoming fire and at 07.04 began to shell the French battleship Jean Bart some 22 000 meters away. The French battleship arrived at Casablanca after the German invasion of France in 1940. When she reached Morocco, the ship was only 75 percent complete and unable to leave the port. Her only serviceable armament consisted of two 15 inch main battery guns mounted in the forward turret (the other two guns in the four-gun turret were damaged and turret No. 2 had not yet been installed). Jean Bart fired back, but she was soon silenced: by 08.06 she had been hit by five 16 inch shells fired form the Massachusetts, including one well-placed round that jammed the French ship’s only turret. “Big Mamie” continued to fire until 08.33 raining destruction on the port facilities and the helpless French fleet. At 08.55 the Massachusetts and the accompanying cruisers attacked a team of French warships that managed to break out of the port and were poised to attack the landing beaches. The Americans sank the destroyers Fougueux and Boulonnais, as well as the light cruiser Primauguet. Another French destroyer (Malin) suffered heavy damage forcing the her crew to deliberately beach their vessel.